The A's lost their No. 4 prospect before he even stepped on the field. Kyler Murray, due to report to Spring Training with Oakland this Friday, announced on Twitter that he was committing to a career as a quarterback in the NFL. "Moving forward, I am firmly and fully committing my life and time to becoming an NFL quarterback," Murray wrote on Twitter in a post that didn't mention the A's or baseball. "Football has been my love and passion my entire life. I was raised to play QB, and I very much look forward to dedicating 100% of myself to being the best QB possible and winning NFL championships." 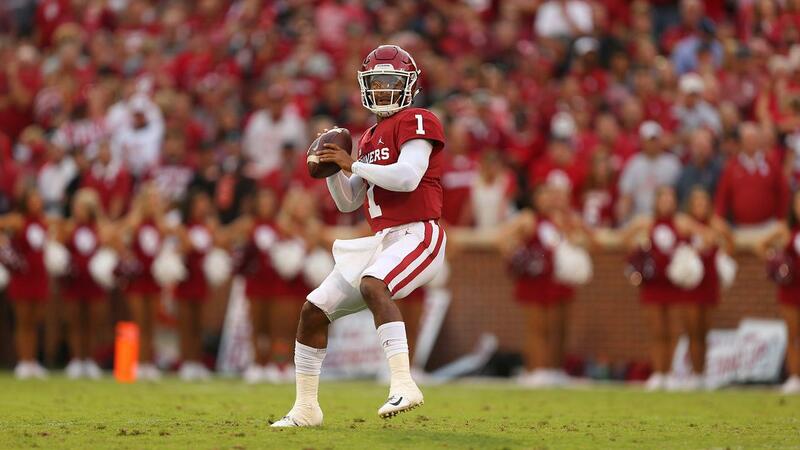 The decision is not a shock to fans who have followed the talented junior from the University of Oklahoma. Murray, a 21-year-old outfielder, was the A's first-round pick in the 2018 Draft, going No. 9 overall. He signed a $4.6 million contract with Oakland under the condition that he'd be allowed to play football in 2018 before transitioning to baseball. That plan was thrown into question this winter and speculation about his future grew after Murray edged Alabama's Tua Tagovailoa to win the Heisman Trophy. Murray entered February with a choice: report to Major League Spring Training with the Athletics on Feb. 15 or go to the NFL Combine on Feb. 28. "I have started an extensive training program to further prepare myself for upcoming NFL workouts and interviews," he wrote. "I eagerly await the opportunity to continue to prove to NFL decision makers that I am the franchise QB in this draft." Murray will now have to return $3.16 million to the A's, including $1.29 million of the $1.5 million signing bonus he received, by March 1, according to ESPN. The decision doesn't necessarily end Murray's future with the A's, however. According to MLB.com, the A's won't receive a compensation pick in the upcoming 2019 Draft but will retain his professional baseball rights should he try to switch to baseball in the future. Murray was 260-of-377 in passing attempts this season at OU, throwing 42 touchdown passes and scoring 12 more on the ground. He won the Davey O'Brien Award as the top quarterback in college football and was named the AP Player of the Year and the Big 12's Offensive Player of the Year. The Bedford, Texas, native hit .296 with 10 homers, 13 doubles, 47 RBIs and 10 stolen bases in 51 games for Oklahoma in 2018. He was considered the best athlete in the 2015 MLB Draft class and drew first-round attention at the time before trying his hand as a two-sport athlete at Texas A&M. He transferred to Oklahoma and sat out the 2016 season before backing up 2017 Heisman winner Baker Mayfield. The A's saw the potential this past June and hoped he'd stick with baseball. MLB.com had the 5-foot-11 Murray projected at reaching the Majors by 2021. Murray's uncle, Calvin Murray, saw time in the Majors with the Giants, Rangers and Cubs from 1999-2002 and was Cleveland's first-round pick in the 1989 Draft. His father, Kevin Murray, quarterbacked the Texas A&M team from 1982-86.